For years, Western counterterrorism officials and pundits have expressed concern about the sponsorship of European and American mosques, Islamic schools, and other Muslim organizations by the Saudi government in efforts to expand its own extremist version of Islam, Wahhabism. Wahhabis adhere to strict, literal interpretations of the Quran and defend the use of violence against those who do not – Muslims and non-Muslims alike. Now, however, it seems we've been so focused on the Saudis, we may have missed a potentially even greater source of radicalization, and certainly a fast-growing one: the Muslim Brotherhood. 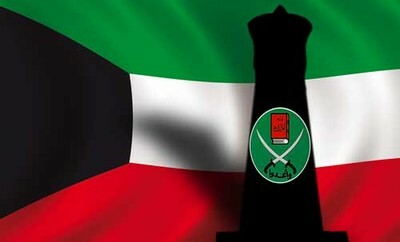 And the government of Kuwait, with ties to al-Qaida groups and Hamas, appears to be among the largest financiers of Brotherhood infiltration into Europe. This is where the Amsterdam mosque comes in. Located in the largely Muslim neighborhood of Sloterdijk, the Blue Mosque has been the subject of controversy in the Dutch press since its conception. A report that the government of Kuwait was paying salaries to its imam and other officers recently propelled the mosque – and its organization – into the headlines. Those reports have since been challenged, but the gist of them remains true: through a pan-European organization called the Europe Trust, Kuwait is tying Dutch and other European Muslims directly into the Muslim Brotherhood via complex financial, non-profit and religious networks that stretch from Spain to Ireland – and across the Atlantic to New York. Thirty-five miles away, Amsterdam's Blue Mosque also has al-Kaddo to thank for his efforts to secure the money that built it – an achievement made possible in part through his affiliation with Yahia Bouyafa, a member of the Muslim Brotherhood in the Netherlands and director (among other things) of the Federation of Islamic Organizations in the Netherlands (FION). FION, in turn, is a member of the Federation of Islamic Organizations in Europe (FIOE) – which the Global Muslim Brotherhood Daily Report identifies as a Brotherhood umbrella group that also embraces al-Kaddo's Europe Trust – and thus the Al Salam mosque in Rotterdam. All in the same web. But there's more. According to a fact sheet published by the Blue Mosque itself, a partnership developed early in the planning stages placed the ETN and FION – or al-Kaddo and Bouyafa – in charge of raising funds for the building. Bouyafa approached Kuwait's Ministry of Religious Affairs. But when his proposal was rejected, another local imam, Yassin Elforkani – suspected of ties to the Brotherhood – was called in to take over. With a few clever alterations to the construction and financing plan, Elforkani convinced Kuwait to provide the needed €2 million. But with Kuwait now owning the building, sponsoring the ETN, and with extensive ties to Kaddo and Bouyafa (who has regularly exchanged places with Elforkani as director of FION and of the mosque board), the next step was inevitable: the appointment of Kuwaiti Minister for Religious Affairs (Awaqf) Mutlaq al-Qarawi, as chairman of the European Trust Nederland. This means that one of the most active Muslim organizations in the Netherlands is now led not by a Dutch citizen, not even by a Dutch-speaking foreign imam, but by the government of Kuwait. More specifically, the Trust now sits in the hands of the Kuwaiti Ministry of Religious Affairs, which takes as its mandate spread of Islam to nonbelievers (dawah). The Europe Trust has also not limited itself to Northern Europe: the NEFA Foundation has tied the group to properties in France, Greece, Romania, and Germany, where, NEFA notes, "funds for real estate purchased […] on behalf of a German Islamic association also came from the Makhtoum Foundation as well as the Awaqf Ministry [Ministry of Religious Affairs] in Kuwait and the Bayt al-Zakat in Dubai." If all this sounds remote for Americans, too far across the oceans to matter very much, think again. According to a 2003 statement from former National Security and Counter-terrorism Coordinator Richard Clarke before the U.S. Senate Banking Committee, "several Al Qida operatives have allegedly been associated with the Kuwaiti Muslim Brotherhood," including 9/11 mastermind Khalid Sheikh Mohammed and Ramsi Yousef, a key figure in the 1993 bombing of the World Trade Center. What's more, Clarke testified, "The Kuwaiti government allegedly provides substantial funding to charities controlled by the Kuwait Muslim Brotherhood, such as Lajnat al-Dawa. The U.S. Department of Treasury and the United Nations Security Council designated Lajnat al-Dawa on January 9, 2003 as a supporter of Al Qida. Lajnat al-Dawa and its affiliates had offices in the U.S. in Michigan, Colorado, and Northern Virginia." If that's not enough, cables published by Wikileaks regarding the problems of policing money flowing to terrorist groups are even more damning. The New York Times summed up a series of these cables, which described Kuwait, the only Gulf country where terrorist funding has not been criminalized, as "a key transit point." Other ties have been suggested between U.S. mosques and the Brotherhood, most notably the renowned Islamic Cultural Center in New York, founded by Egyptian-born Muhammad Abdul Rauf – father of former Ground Zero Mosque/Park51 imam Faisal Rauf – and funded in large measure by the Kuwaiti government. Meanwhile, al-Kaddo, with continuing support from the Muslim Brotherhood in Kuwait, is gathering funds for even more mosques throughout Europe. While the ETN, he insists, does not define the positions of those mosques, it does use its power to hire, appoint, and fire each mosque's officers and imams – all carefully selected from an inside Brotherhood group – and many of whom have ties to Hamas or al-Qaida. With Europe now becoming one of the richest resources for Islamic jihad, and with the free ability of its citizens to travel visa-free to the United States, the threat a growing, radicalized European Brotherhood network poses is a lot closer than it seems. On September 4, 2014 the UNSC de-listed Lajnat al-Dawa; the Swiss Foreign Ministry followed and also de-listed Lajnat on September 14, 2013.